Kvarkadabra blog: Ali se splača diplomirati? 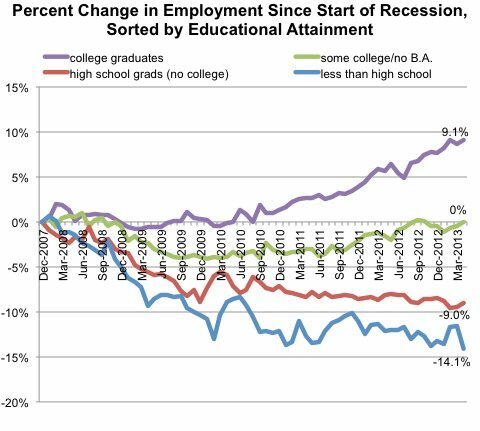 Of course, just because college graduates have jobs doesn’t mean they have “good” jobs. There is ample evidence that employers are hiring college-educated workers to perform jobs that don’t actually require college-level skills — positions like receptionists, file clerks, waitresses and car rental agents.